The current European economic incentives to reduce, reuse and recycle plastic packaging in Europe need to be re-thought, new research shows. Plastic packaging is the largest application for plastics in Europe, constituting 40% of the demand. When it becomes waste, only 40% of plastic packaging is recycled, while landfill, incineration and littering still represent its most common fates. Although the European system of Extended Producer Responsibility (EPR) should introduce a strong economic incentive to designs products and packaging for a circular economy, where material is re-used for a long time or recycled, the current system fails to promote a zero waste design. 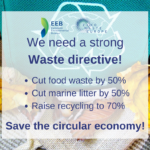 “EPR is an example on how the current economic incentives are not geared up to transition Europe to a circular economy” Ariadna Rodrigo, product policy campaigner at Zero Waste Europe said. 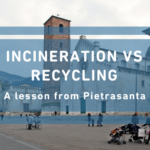 “Within the current system of EPR, the products designed for recycling pay the same as those designed for landfill and incineration. This is not acceptable. EPR must reflect the waste hierarchy, where prevention, reuse and recycling are preferred options – in that very order”. The report highlights the need for a system of modulated fees where the packaging designed for single use, incineration and landfill have higher fees than packaging designed for a circular economy.